Now, leak protection is easier than ever. 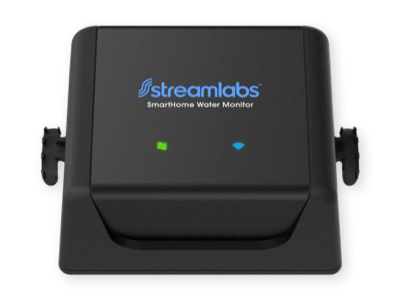 The StreamLabs® water system monitor keeps an eye on what’s happening with the plumbing behind your walls and alerts you in real-time when water problems arise – before they turn into disasters. Receive instant notification for abnormal water use - along with comparative and historical water usage data. Smart Alerts automatically detects your unique, water usage patterns – all without you having to configure a thing. 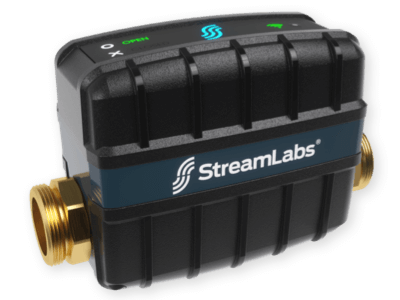 Customize leak detection alerts and adjust sensitivity with home or away modes for manual control. 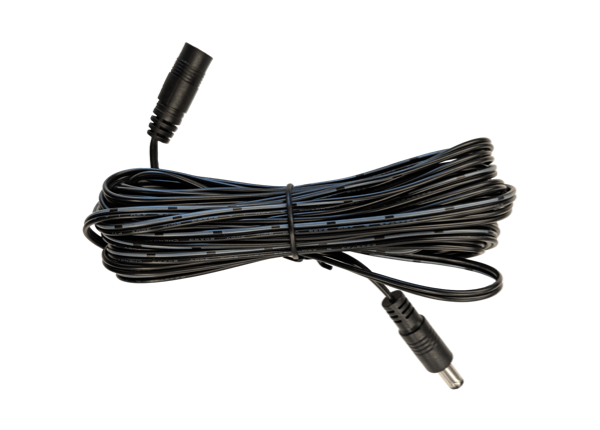 Integrates with Nest and Amazon Alexa. API access available upon request. * Accuracy may depend on pipe age, type, and setup. 0.5 gpm for Copper type L.
No pipe cutting. No tools. Download app, connect monitor & sync. Requires no pipe cutting. Just zip to pipe and plug-in. It detects pipe type and size automatically. Use app to adjust & set alerts.